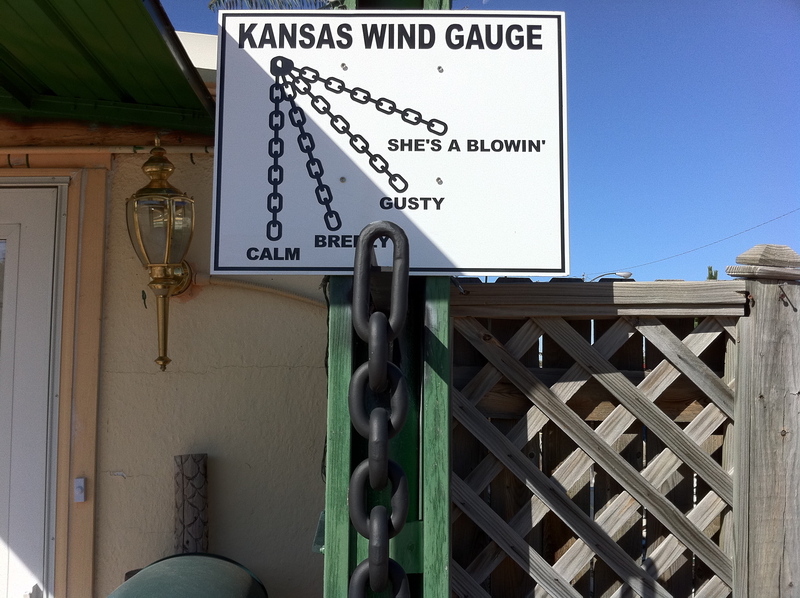 Gusting crosswinds all day made for slow going, especially up the numerous hills that characterize western Kansas. Rolled up to country music radio station KFNF off Hwy. 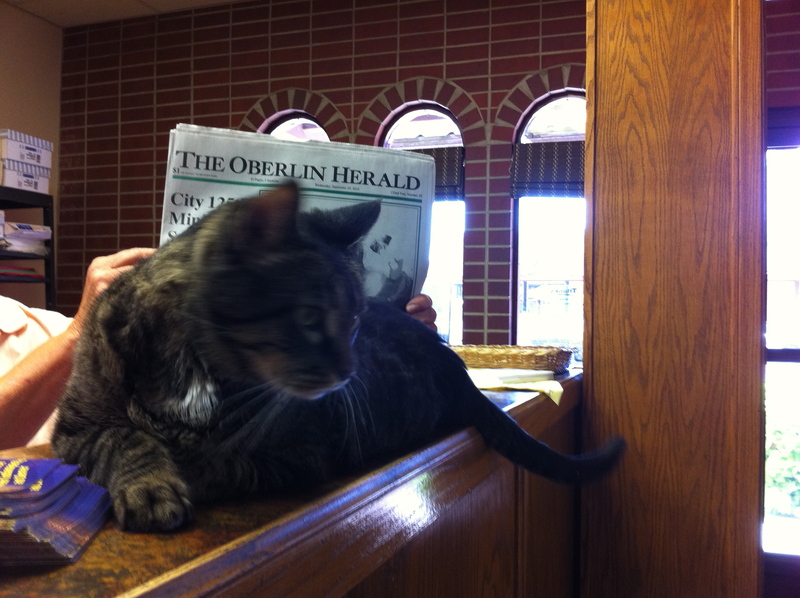 36 and did an interview there before heading to Oberlin for a stop at the Oberlin Herald where the office cat runs the show. Interesting how the last few days I was constantly dodging grasshoppers in the shoulder. Today there were almost none (due to the wind, I suppose), but lots of black beetles negotiating their way across the treacherous (to them) asphalt strip. Did my best not to add to their troubles. More hawk sightings today. Didn’t want to spend tonight in another town square, so took a calculated risk and pushed for the turn-off to Prairie Dog State Park, hoping I could make it before the sun went down and it got too dangerous to ride. Was a tough slog at the end of an already long day (8 hours of riding for a total of 82 miles on the day), but only missed my mark by 15 minutes. Wouldn’t have wanted to ride on that shoulder five minutes longer, though. Finally rolled into Prairie Dog State Park just as it was getting dark and the mosquitos were getting active. They have a beautiful campground nestled next to a reservoir, with free showers and not too many people this time of year. Looking forward to seeing the dogs in the morning. This entry was posted in 2010 Ride, Articles, Blog, Video and tagged kansas, prairie dog state park, rawlins county square deal, ride for renewables. Bookmark the permalink.